It's all about the noms! Knitted food that totally looks like real food! We’ve come across those adorable knitted food items and the resemblance to some of our partner’s delicious items was uncanny! Sushi is a very exquisite dish that has become a huge hit in Egypt and the Middle East within the past few years. For many of Sushi fans, the freshness of the ingredients and the whole dining experience is what makes it a must have and keeps them coming back. But what do we know about Sushi? Sushi was mainly created to preserve fish in Southeast Asia around the 8th century. The main idea was to salt the fish, ferment the rice and wrap the fish in rice. The fermentation of the rice prevented the fish from spoiling, making Sushi in its original form a food preservation method rather than a delicacy. The rice was always discarded and the fish was preserved perfectly providing the people an important source of protein. By time, Sushi witnessed a few variations as the use of raw, fresh fish wrapped in rice alone or mixed with other vegetables and dry seaweed was becoming popular. The rice was used to compliment the fish rather than preserve it. Sushi became a fast food item at one point when Nigiri Sushi invented by Hanaya Yohei and was served by street vendors on the streets of Tokyo. Nigiri Sushi became popular throughout the country due to the relocation of some of the Nigiri Sushi chefs after the Great Kanto earthquake. If you’ve never had Sushi before, we highly recommend you choose a reputable restaurant known for preparing fresh Sushi. Having a bad first experience can ruin Sushi for you forever. Be sure to grab a expert Sushi eater along as they would help you with choosing your Sushi. You can also always ask around for recommendations according to your taste. 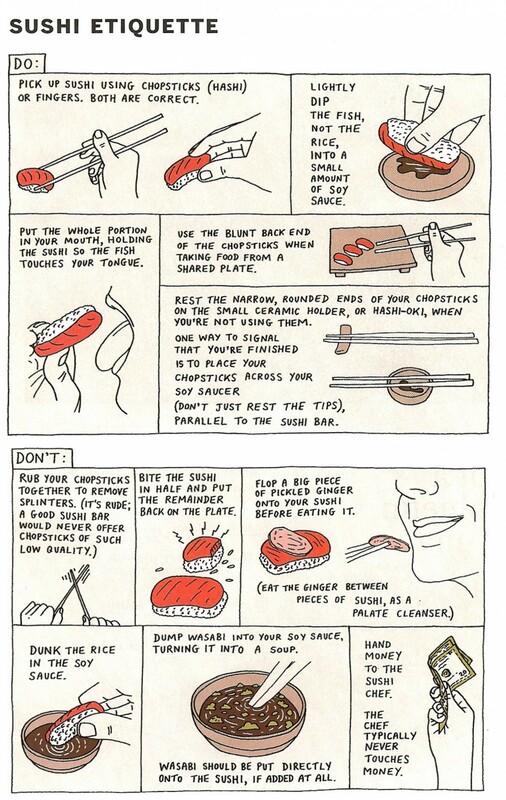 Don’t be afraid to experiment with Sushi but don’t step out of your comfort zone on your first time. There are 3 main condiments used along while eating Sushi: Soy Sauce, Wasabi paste and Gari. We are all aware what Soy Sauce is. 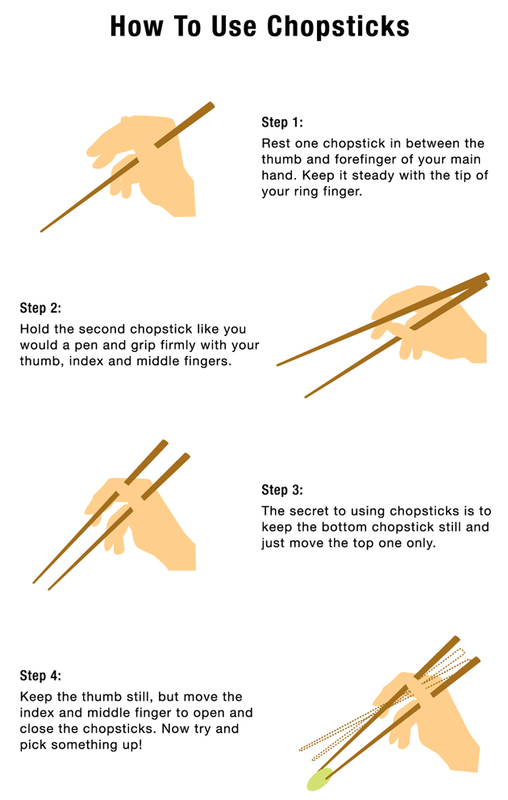 You can dip your Sushi piece in the Soy Sauce but you must be careful not to overdo it. Some chefs prepare their Sushi with Soy Sauce so keep an eye on your Sushi and avoid dipping in in Soy Sauce if it already is seasoned or dressed. Gari is sweet pickled ginger that is usually eaten between each Sushi course. In addition to it being extremely delicious and refreshing, it aids in digestion. The most popular and known form of sushi which comes in a piece of seafood placed on a bed of lightly vinegared rice. Fish is usually raw while shellfish is sometimes cooked. Gunkan Maki is similar in concept to Nigiri Sushi. The only difference is that the piece is wrapped in dried seaweed (Nori) to hold together the piece which usually contains soft toppings such as fish roe, sea urchin and minced tuna. Maki Sushi is the most diverse types of Sushi as it has many variations created by several different and delicious ingredients. It is created by rolling together different ingredients in a sheet of seaweed (Nori) on a bamboo mat. The roll resembling a tube is then cut into pieces. This is the most popular type of sushi and as mentioned before, has many variations that are unique to each Sushi chef. Temaki Sushi is created by hand rolling the ingredients into a single seaweed sheet and shaping it into a cone. Sashimi is not to be confused with Sushi although it is equally delicious to Sushi lovers. It is usually thinly sliced seafood served in a raw state. To enjoy Sashimi, you must dip it in Soy Sauce, Wasabi or ground ginger (depending on the type of Sashimi). Sashimi does not contain rice and is never cooked. It is generally safe to consume if it is freshly prepared yet it is not recommended to pregnant women.